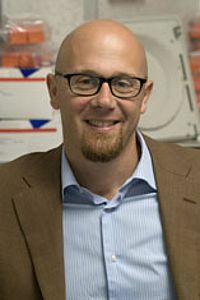 Alberto Auricchio, MD is Associate Professor of Medical Genetics at the “Federico II” University in Naples and Full Investigator at the Telethon Institute of Genetics and Medicine in Naples. Dr. Auricchio’s research is focused on gene therapy of retinal and metabolic diseases using adeno-associated viral vectors. Dr. Auricchio is co-author of more than 60 peer-reviewed publications on international scientific journals. Dr. Auricchio is inventor on several international patents on the use of viral vectors for gene therapy. Dr. Auricchio is a member of the Editorial boards of Human Gene Therapy and Molecular Therapy. Dr. Auricchio has been nominated in 2007 "Cavaliere of the Italian Republic" by the President of the Italian Republic. Development and application of viral vectors for retinal gene transfer for retinal degeneration and neovascularization. Gene Therapy for Leber's Congenital Amaurosis is Safe and Effective Through 1.5 Years After Vector Administration. Mol. Ther. 18(3):643-50. PMID: 19953080. Age-dependent effects of RPE65 gene therapy for Leber’s congenital amaurosis: a phase 1 dose escalation trial. Isolation and evaluation of novel adeno-associated virus sequences from porcine tissues. Gene Therapy advance online publication 23 July 2009. PMID: 19626054. Serotype-dependent packaging of large genes in adeno-associated viral vectors results in effective in vivo gene delivery. Constitutive and AP20187-induced ret activation in photoreceptors does not protect from light-induced damage. Novel adeno-associated virus serotypes efficiently transduce murinephotoreceptors. J Virol. 81(20):11372-80. PMID: 17699581. Preferential silencing of a common dominant rhodopsin mutation does not inhibit retinal degeneration in a transgenic model. Inhibition of ocular neovascularization by Hedgehog blockade. Mol. Ther. 13(3):573-9. PMID: 16343995.